Winter anyone? Yes, here where I live – we get plenty of snow, and no one plants anything before May 15th because there is the threat of a freeze until then. And even though I like to snuggle up in sweats and stay in-doors, I have two little boys who LOVE to play outside. 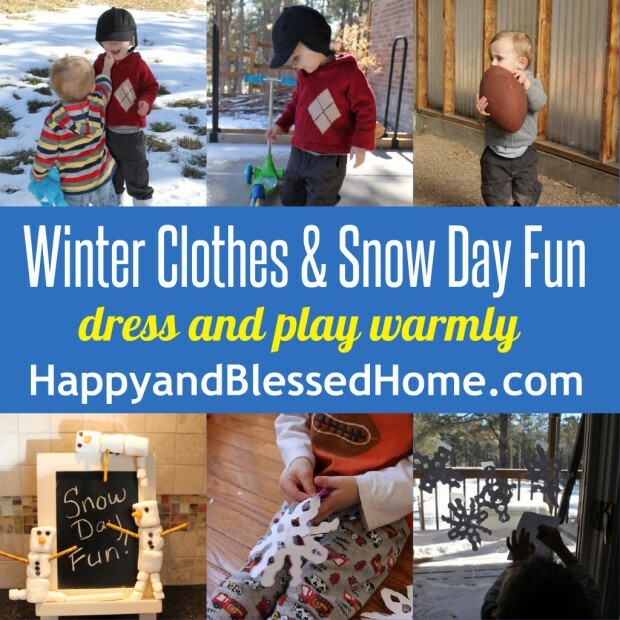 I just thought I’d share some indoor and outdoor activities for snow day fun and some warm winter clothes to keep your kiddos comfy. 1. Make snow cakes and eat them – My boys love to eat snow. Here you can see our youngest trying to feed snow to our 3 1/2 year old. 3. Play football outside – Here my youngest is playing with a football in our greenhouse. I know— the ball is half his size! 4. Make marshmallow snowmen – We used toothpicks and two sizes of marshmallows to create these. The snowmen did not last long. They were eaten almost instantly. 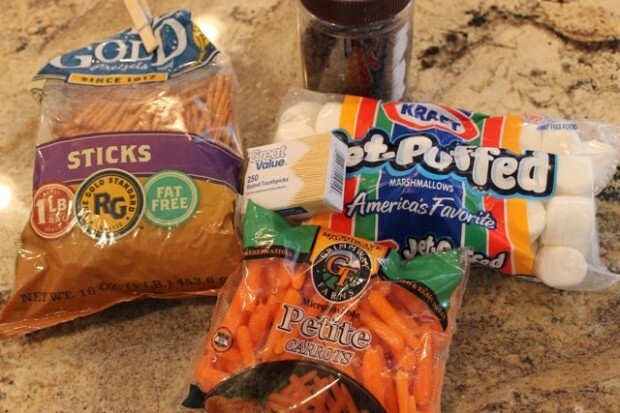 Ingredients included: pretzel sticks, mini chocolate chips, petite carrots, large and small marshmallows, and toothpicks. 5. 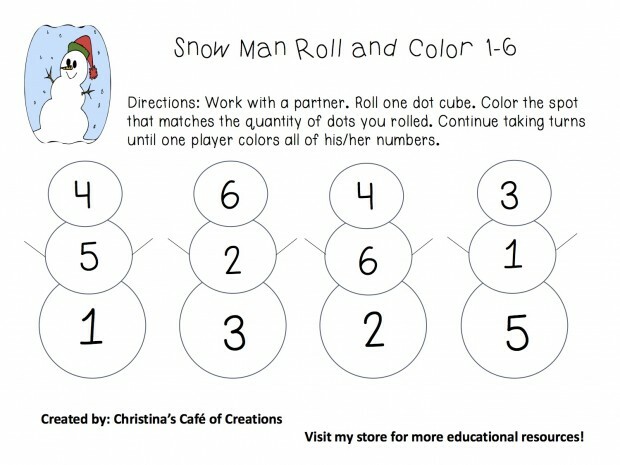 Make paper snowflakes and use them to decorate the windows. My boys are fascinated with the concept of bringing snow indoors. I just cut a few snowflakes to show my eldest how to create them, I let him have a pair of childproof scissors, and voila’ we had a spontaneous craft time. 6. Enjoy this FREE Printable from Christina’s Café of Creations. 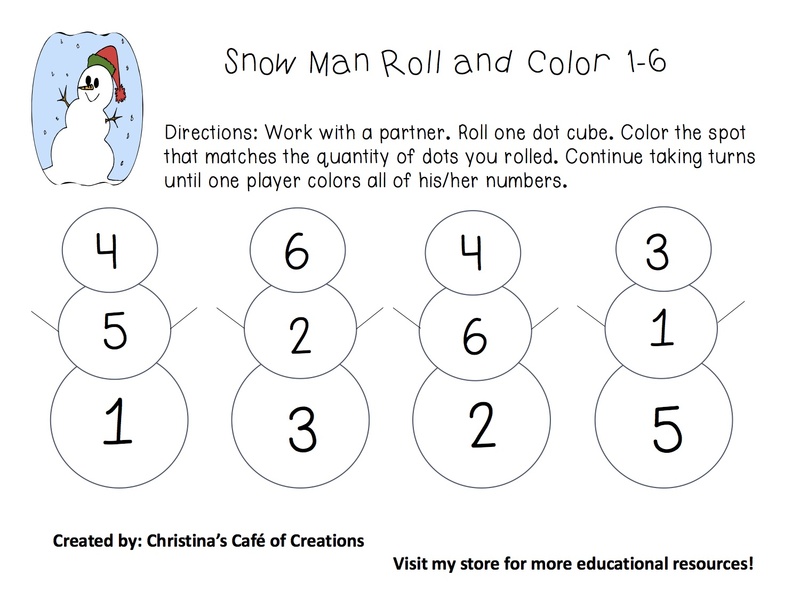 I just thought this roll-the-dice and color the snowman printable was too cute. I contacted Christina and she agreed to allow me to host it here on my site as a free printable. Christina’s link will take you to her online “Teachers pay Teachers” store where you can find all sorts of other printables for purchase. Just click the image and you can print this at home. I also want to be sure I point out the clothes I dressed my boys in when we went outside. RUUM contacted me and asked if I would write a review of their product. I’m always a bit hesitant to try clothing purchased over the internet because you can’t try it on first. But I will say, I am impressed. My two boys are small for their ages. 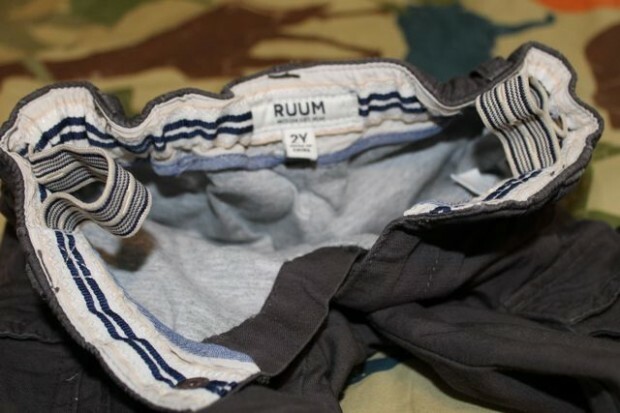 I was excited to learn that’s RUUM’s pants come with an adjustable waist band. The kind with an elastic strap that pulls the waist in and attaches to a button. I ordered pants for the sizes my boys are growing into and was pleasantly surprised when I found that the waist bands made it possible to cinch the pants securely onto their small frames. The fabric is warm but not bulky. My son sat in the snow and did not complain about being cold. My kids seemed really comfortable and I’m just thankful to have lined pants that they enjoy wearing. RUUM also has great customer service, so if you order something and aren’t completely satisfied, you can return it for a full refund or exchange. Here’s to warm winter clothes and snow day fun. I hope you’re enjoying the cooler weather with lots of warm memory-making! If you like my blog please like my Facebook page at: HappyAndBlessedHome – thanks so much! Facebook likers also get a copy of my Letter “B” Printables. Those are really cute clothes! We get a lot of snow and cold in New England as well. Going to take a look at those lined pants now. My daughter always complains about bulky clothes in the winter! They sure do have some cute clothes at RUUM’s. Also, love those marshmallow snowmen! Thanks Emma – enjoy the snow! Such cute marshmallow men! I’d love to send my kids outside to play in the snow. Unfortunately, we’ve had a really cold January. This weekend it should be a little warmer. Thanks Barb! The marshmallow men were fun to make and my boys ate them almost instantly! Enjoy some fun in the snow when you gat a chance.